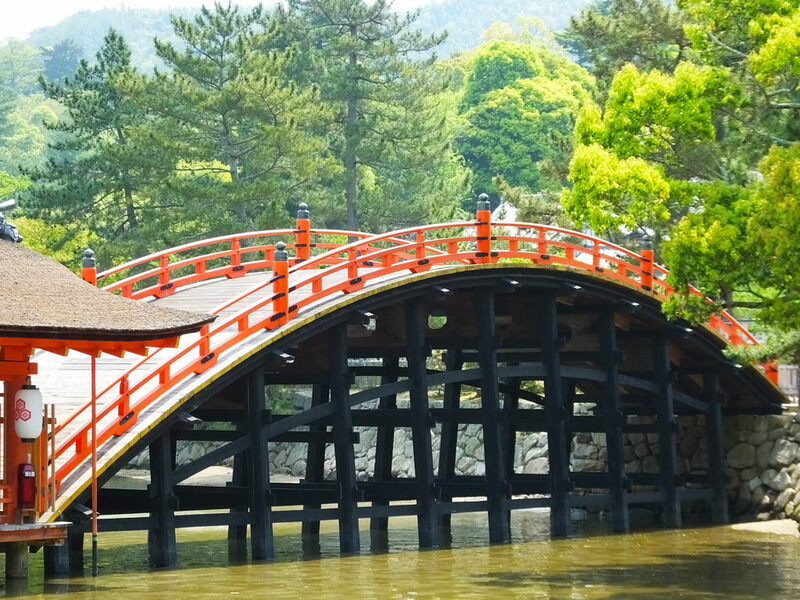 Itsukushima, popularly known as Miyajima, is an island of Hiroshima Prefecture. The island is one of the Three Views of Japan. 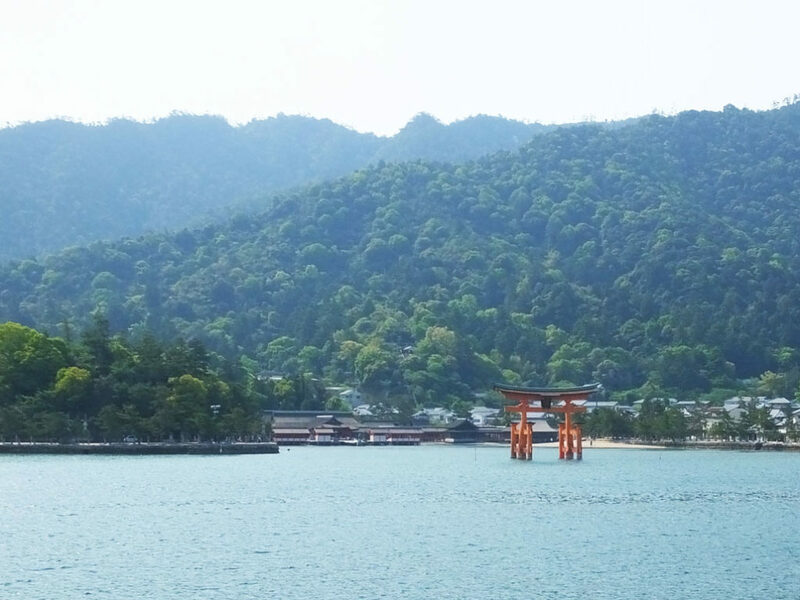 “Miyajima” means “the shrine island” in Japanese, and the island itself is regarded as a huge shrine. 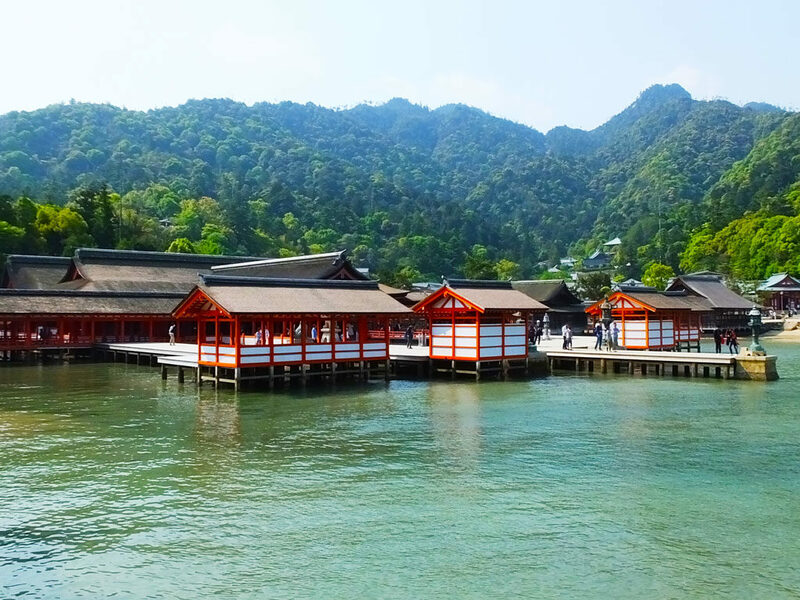 Miyajima has a World Heritage Site, Itsukushima Shrine along the coast. It is a very popular tourist spot in Japan, and numerous people visit the shrine every year, both from Japan and overseas. 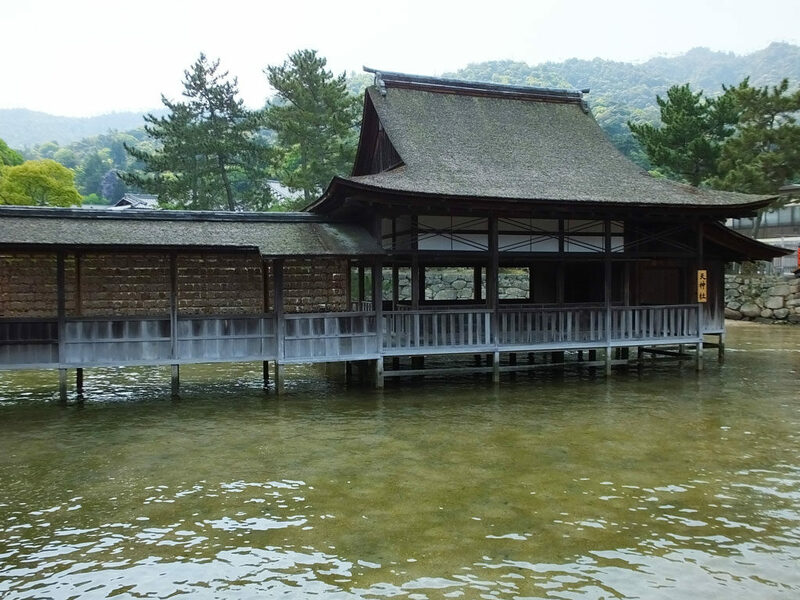 Itsukushima Shrine looks as if floating on the sea, and it has a mysterious and sacred atmosphere. I think this is why this shrine has been loved by many people for a long time. 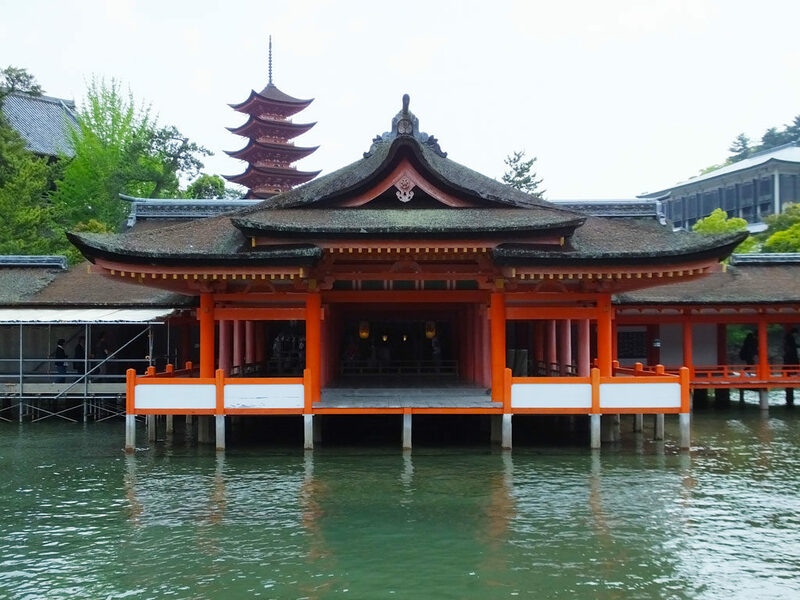 Why Was Itsukushima Shrine Built on the Sea? 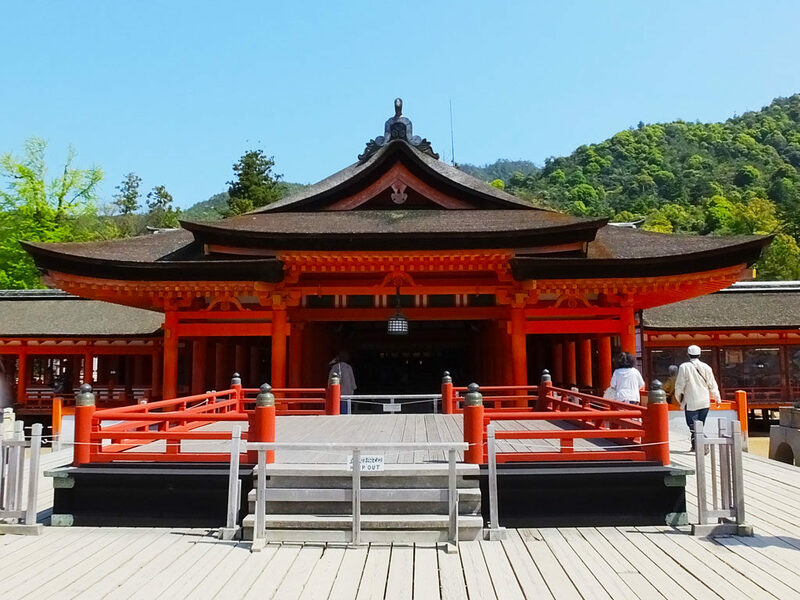 It is said that Itsukushima Shrine was founded by Kuramoto Saeki in 593. At that time Itsukushima, the island itself, was worshipped as one huge deity, so people thought it was rude to build a shrine on the island. 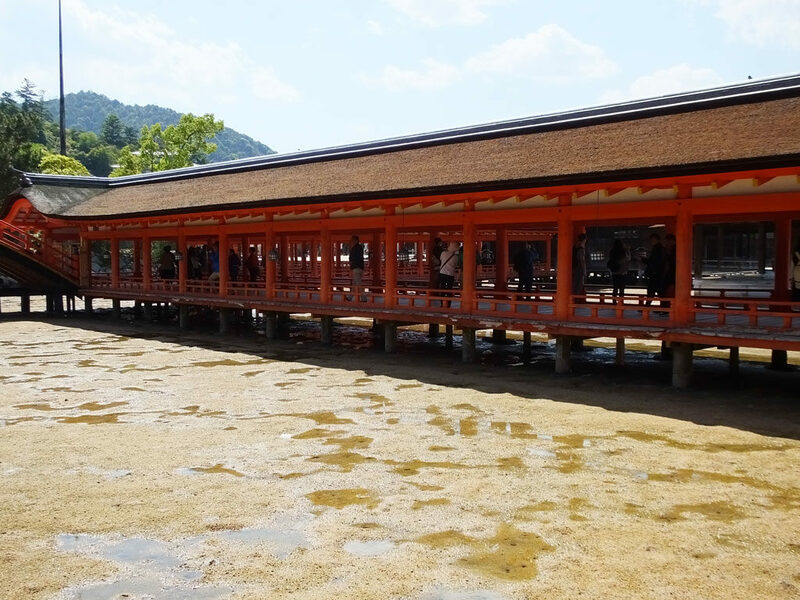 This is why Itsukushima Shrine was built at the edge of the shore, where the water comes up at high tide. 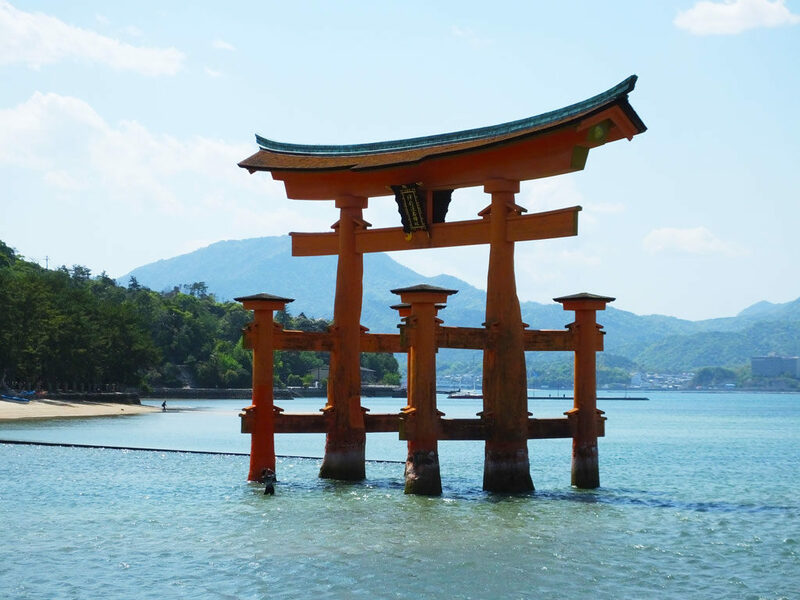 Be sure to check the tide times before you visit Itsukushima Shrine. The homepage of Miyajima Tourist Association is here: http://www.miyajima.or.jp/sio/sio01.html. 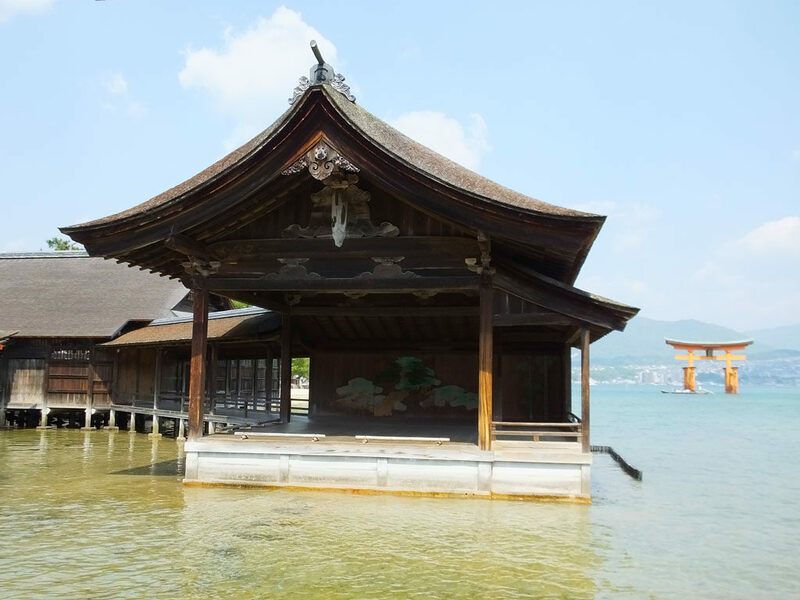 If you go to Itsukushima Shrine at low tide, you can’t see the floating shrine on the sea. When the height of the tide is more than about 250 centimeters, you can see the floating shrine that is often seen in travel guide books. Don’t wear high heels. 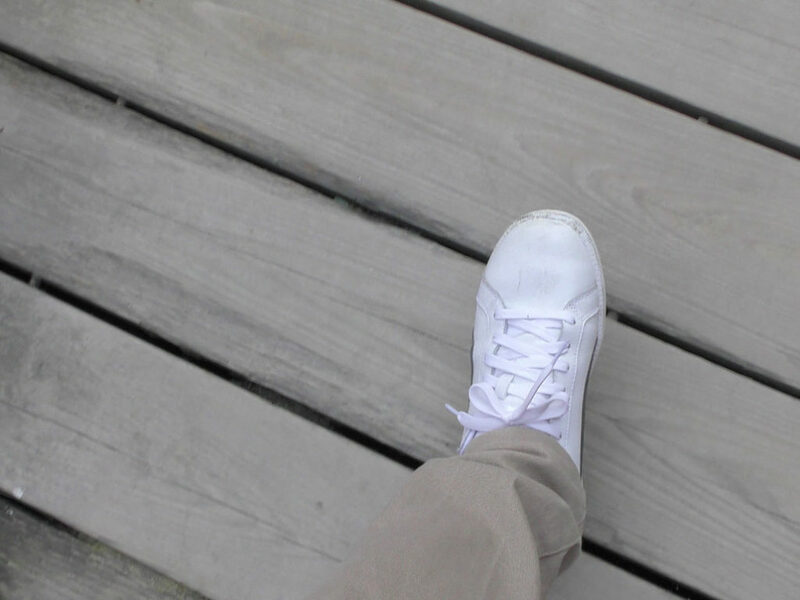 Comfortable shoes like sneakers are the best because there are small spaces between the floorboards of the shrine. After you get off the train at Miyajimaguchi Station, make your way to the nearby ferry terminal. It takes about 5 minutes on foot. 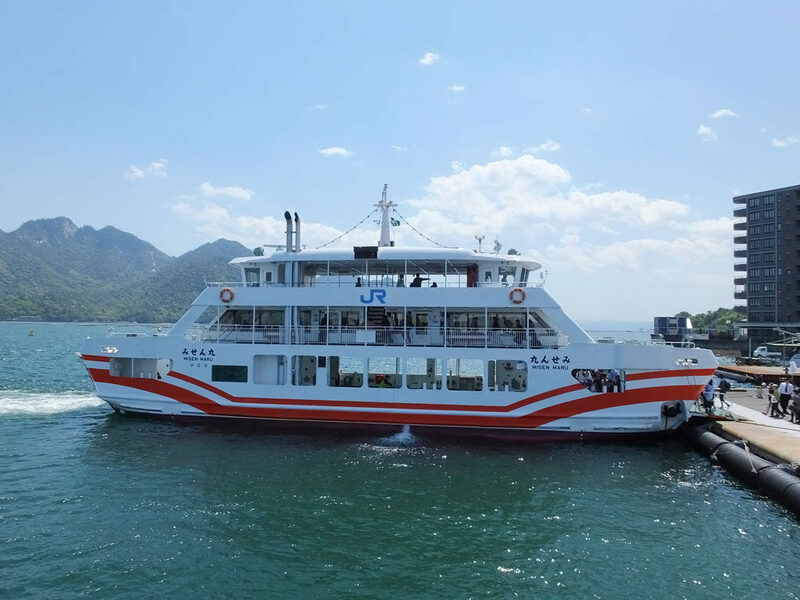 There are two ferry services to Miyajima, JR West Miyajima Ferry and Miyajima Matsudai Kisen Tourist Ship. The fares are the same and the travel times are almost the same, too. (The one-way fare is 180 yen for an adult, and it takes about 10 minutes.) If you leave the ferry terminal between 9:10 a.m. and 4:10 p.m, I recommend using JR West Miyajima Ferry because it takes you near O-torii (the big torii gate of Itsukushima Shrine). The view from the sea is awesome. 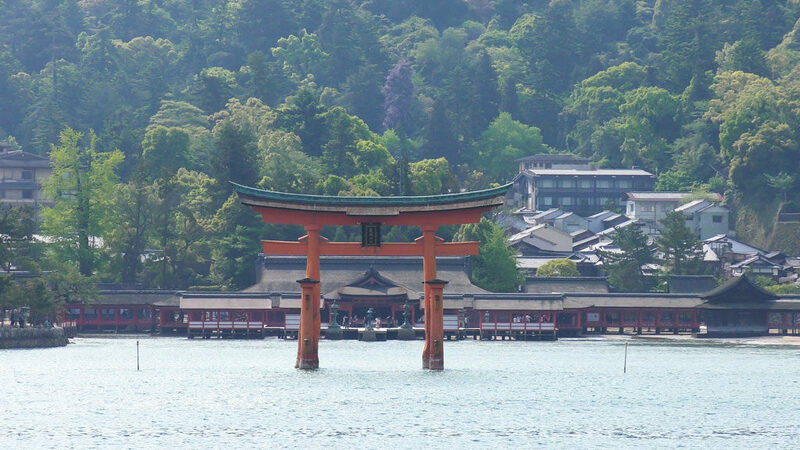 You can see the main shrine of Itsukushima Shrine behind O-torii. It is worth viewing. 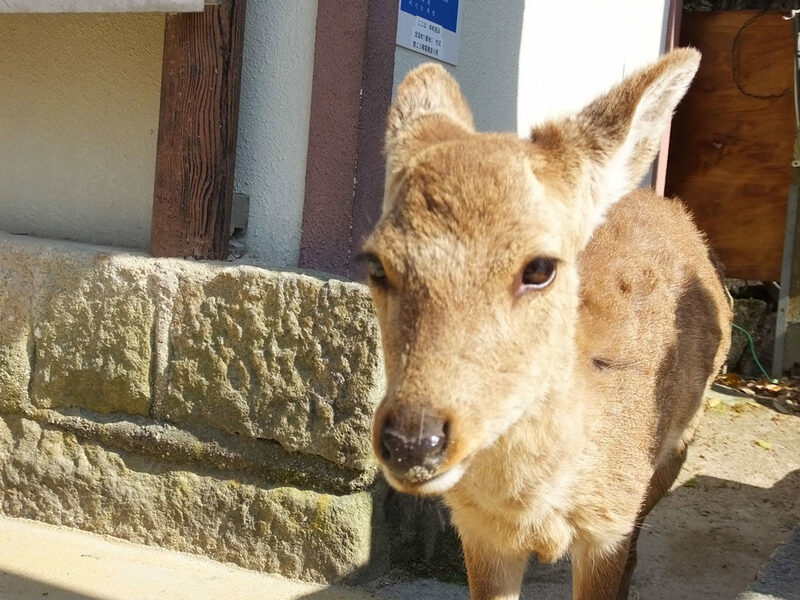 When you reach Miyajima, pretty deer will welcome you. They are relatively quiet, but if you have food in your hand, they will approach you. It is a fun place for animal lovers. You can walk to Itsukushima Shrine from the ferry terminal. It takes about 10 minutes. 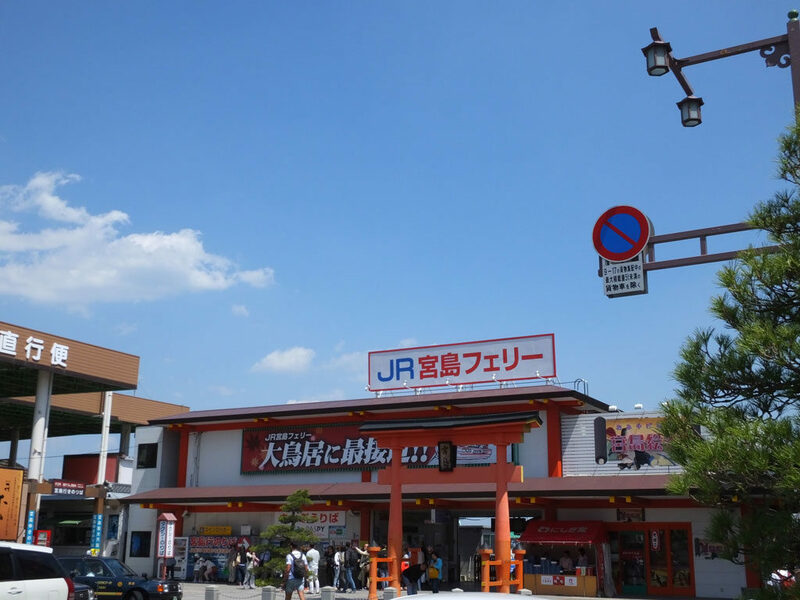 (There is a shopping street near the shrine, so you can enjoy shopping and eating there before that, too.) There is also Treasure Hall near the shrine, so if you want to visit it, I recommend to buy the combined ticket at the entrance to the shrine. It is a better deal than two tickets. The torii gate in the sea (O-torii) is eye-catching, but there are many other things to see in Itsukushima Shrine. Here’s a list of 6 interesting things. 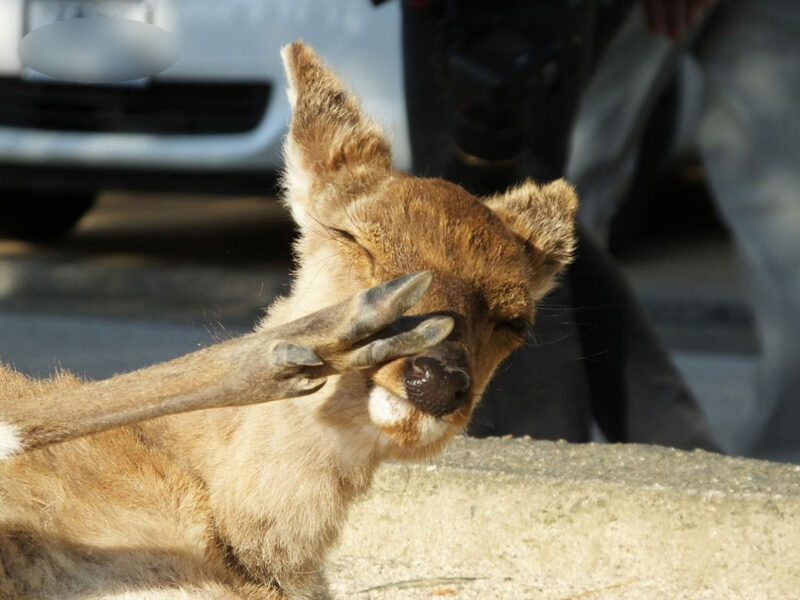 Check them, and you will be an expert on Itsukushima Shrine. Marodo Shrine is designated as a National Treasure. You can see it soon after entering Itsukushima Shrine.５male deities are enshrined in here, so it is a very important place. When they perform a ritual in Itsukushima Shrine, the priests go to Marodo Shrine first of all, in order to show their respect to the deities. I happened to arrived at Itsukushima Shrine when a ritual began, and I could see priests at Marodo Shrine with my own eyes. The main shrine is designated as a National Treasure. 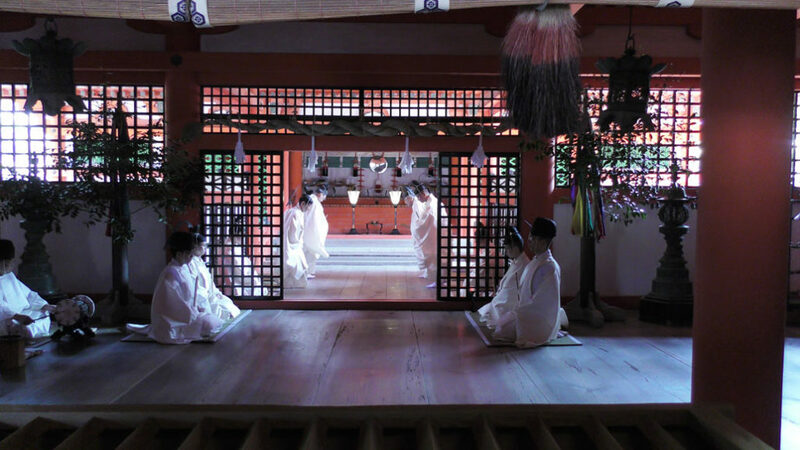 In the main hall called honden, 3 female deities are enshrined with no less than 30 deities. The 3 main deities are believed to be deities of the sea, transportation, wealth and artistic skills. In front of the honden, there is an offering hall (Japanese: heiden) and a worship hall (Japanese: haiden). 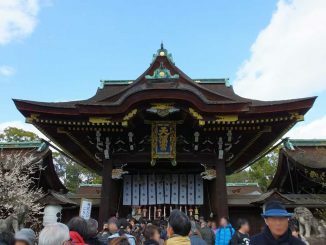 In front of the haiden, you can see a purification hall called haraiden. Haiden is used when music and dance are performed as an offering to the deities in a rainy weather. 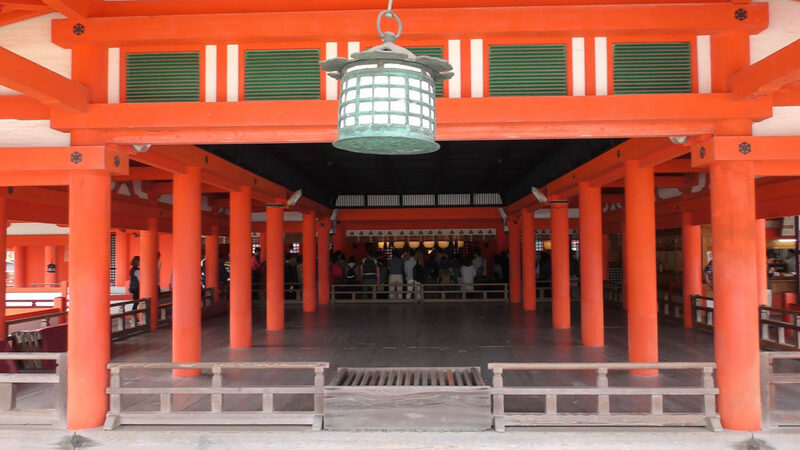 At Kangen-sai (a music festival of Itsukushima Shrine), the portable shrine is placed in here, too. Takabutai is an elevated stage. Dances are usually offered to the deities here. It is the smallest stage for court dance and music, but at the same time, it is one of the three major traditional stages in Japan. Tenjin Shrine is designated as an Important Cultural Property. 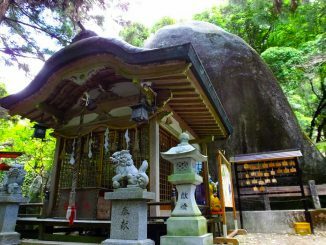 A deity of learning, Sugawara no Michizane (845-903) is enshrined here. Until the middle of the Meiji Period (1868-1912), renga (Japanese collaborative poetry) was written here every month. This is why the shrine is called Rengado (Renga Hall), too. Soribashi is designated as an Important Cultural Property. “Soribashi,” literally meaning “arched bridge,” is also called “Chokushibashi” or “imperial messenger’s bridge” because only imperial messengers were allowed to use the bridge until the end of the Heian Period (794-1185). The noh stage is designated as an Important Cultural Property. It is the only noh stage in Japan that is built in the sea. 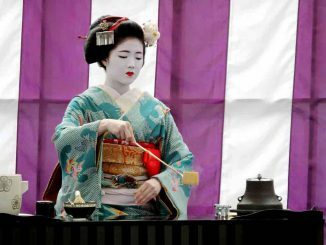 Noh (classical Japanese musical drama) is performed on the stage as an offering to the deities every year, during Toka-sai (Peach Blossom Festival) from April 16th to 18th.